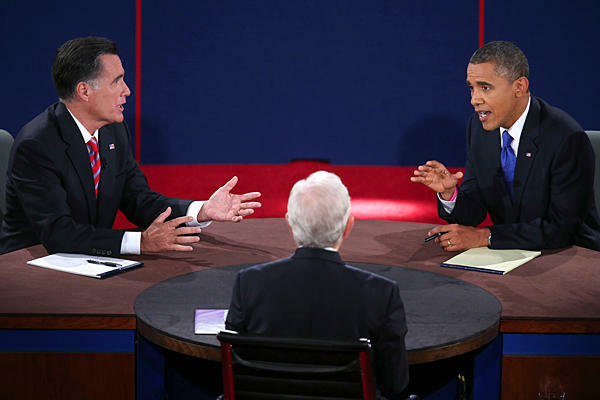 The reality is that the debates generally do not sway elections in major ways. These are more opportunities to sound competent and then allow the American people to make their decisions off of which attack ads before election day cause the bump in one direction for an independent voter or the desire to even vote regardless of your political party. While I am downplaying the debates, it is clear that they are being tied into the momentum swing of the current election but in a rather unusual way. If you listen to the GOP and their supporters right now, Romney is the one with all of the momentum. Even though the incumbent generally has a play on his return to the office, the economy has been the big button issue of this election and Obama failed to show up with the energy in the first debate that was necessary to maintain his lead. After months of flip-flopping, Romney was able to make strides when he sounded more passionate than the guy who apparently had decided to take Ambien for the first time right before the debate (thank you, The Daily Show, for that quip). While Romney took some heat for the way he seemed to dismiss PBS and the moderator, he still surprised many people and took a commanding win in debate #1. Since then, Obama has been on the attack. While I agree with GOP supporters that he is basically on the attack because he is currently trying to catch up in the polls, Obama has been more consistent and performed significantly better than Romney in both of the final two debates. He was more poised and willing to call Romney out on the lies he was telling about the Obama policies and his own agenda. Romney was able to somewhat hang with the president on foreign policy but also failed to prove that he would provide something better than Obama’s plan. The only improvement that Romney really shared was that he would have done certain things sooner, which is always easier to say in hindsight. 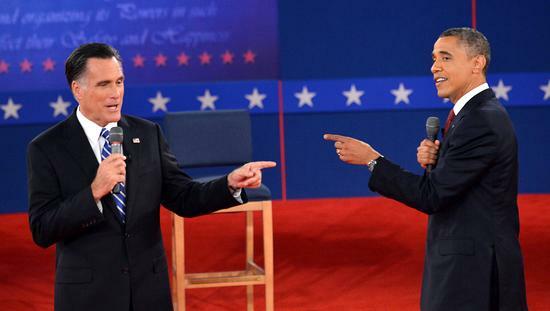 What truly stuck out about the 2nd and 3rd debates was that Romney was playing both of them like he was on the ropes. The 2nd debate was more evident when he found himself fact-checked in the middle of a response and tried to defend multiple accusations by the president that he was falsifying the reality. The 3rd debate was a bit less defensive but his non-verbals gave the impression that he was uncomfortable with his performance and failed to show up the president on foreign policy. To be honest, I am tired of the focus on the meaningless comments of the debates. Big Bird exploded after the first debate, but much less attention was paid to how Romney failed to clarify specifics to what loopholes he would cut and how to magically make his math add up. Binders of women was a sexist commentary but it was minor in the grand scheme of things. He was much worse as he continued to represent women of the 1950s as the model for today, except that they also have to balance a 9-5 job. Obama’s bayonets and horses comments are the new thing and are just as annoying in the social media world. His comment was that the military has been and will continue to modernize of the current age, but I actually think it was a cheap shot to Romney with the implication that he is not interested in similar upgrades. Where the problem truly stems is in the military’s lack of requesting the additional spending Romney has proposed and how Obama has no interest in decreasing the size or scope of the military (just excess spending). As I said on a Facebook comment…memes are fun and all but the true issues need to rise to the surface. Should America abandon Obama for the economic policies of a Romney-Ryan ticket? NO! We still do not know how it will work. We still do not know how there can be massive tax cuts that will somehow stimulate the economy for the long-term future, while still somehow lowering the deficit. Obama’s efforts have not met expectations but they have also not failed. The growth is slower than anticipated and the spending is still there, but the economy is going through a slow recovery and had a huge hole to dig out of. Obama also wins in foreign policy because Romney now apparently agrees with nearly everything the president has done, save for his relationship with Israel. On this issue with two candidates that agree with the foreign policies and military actions of the past 4 years, I would take the one who has shown the experience over the one who has been able to analyze in the background and comment about decisions after the fact. Social policies are a no-brainer. Romney-Ryan would return social politics to a feeling like the time before the Civil Rights movement. Their opinion of women is lower than you would expect in the year 2012. How can you be a supporter of women but not support equal pay, equal access to health care and equal opportunity to make decisions about their own bodies without the interjection of religious and personal beliefs? How are we so hung up of religious explanations for why non-heterosexual marriage should be banned when people have proven that healthy, thriving families do not always have to have both a man and a woman at the helm? If terminology is an issue and we want to project a separation of church and state, then all legal couplings should be labeled civil unions and not marriages. The issue is not sticking it to the churches, synagogues and mosques by saying “we’re gay and married.” It is about having equal rights to offspring, access to medical care, insurance benefits and other partnership rights that heterosexual couples get to share. Romney is not necessarily the worst man for the job, but Obama has proven that another 4 years of his leadership will continue the country on the right direction. The economy is recovering, foreign policy is strong and social policies are continuing to advance in more progressive ways. It may not be as fast and dynamic, but it will be stable and long-lasting. My mind was made up well before the Republican primaries about which candidate I would endorse, but I am just a bit weary now about how the American people are going to interpret the facts and the realities of what each candidates will provide for the future success of our country.